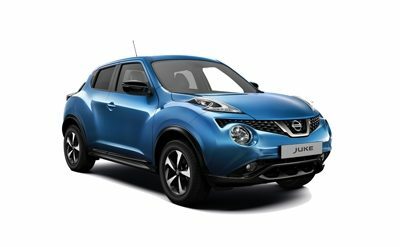 On the Road Cash Price £19,355, Nissan Deposit Contribution £150, Total Customer Deposit £259.46, Total Deposit (including any available Nissan Deposit Contribution) £409.46, 48 Monthly Payments of £259.46, Total Amount of Credit £18,945.50, Optional Final Payment £6,491.59, Total Amount Payable £19,355.13, 0% APR Representative, Fixed Rate of Interest (P.A. )0.00%, Duration 49 months, Annual Mileage 8,000 miles. Offer valid until 30th June 2019 at participating dealers only and subject to vehicle availability. Finance provided by Nissan Finance, Rivers Office Park, Denham Way, Maple Cross, Rickmansworth, WD3 9YS. Subject to status. Guarantees and indemnities may be required. You must be at least 18 and a UK resident (excluding the Channel Islands). Terms and conditions apply. Please refer to your local authorised Nissan dealer for further information and exact specifications. *NISSAN DEPOSIT CONTRIBUTION OF £150 IS ONLY AVAILABLE WHEN TAKEN ON 0% APR PCP NISSAN FINANCE PRODUCT. EXCLUDES VISIA GRADE.